Tempe Marketplace and the Southern Arizona Arts & Cultural Alliance are inviting artists to hit the streets - to pain them! In just seven hours, an amazing collection of artists will bring the desert pavement to colorful life in the 2019 Tempe Marketplace Chalk Walk: Festival of Street Pantings + Chalk Murals (formerly the Phoenix Chalk Art Festival). 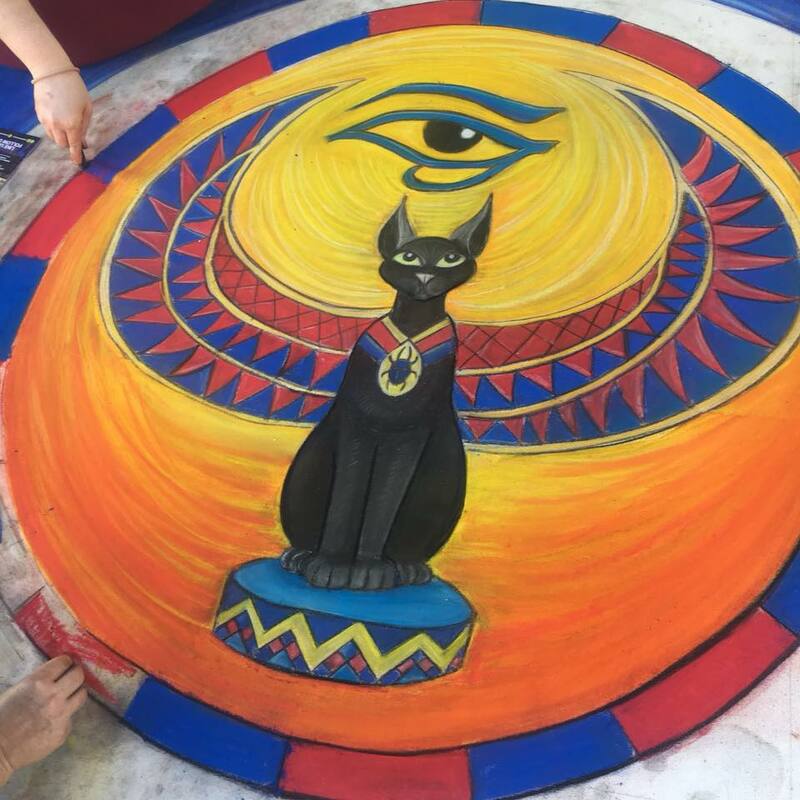 Attendees can watch professional artists create 5-foot murals in a variety of themes throughout each of the shopping centers or grab a piece of chalk and make their own colorful addition. Each location will feature unique murals created by local artists and an imaginative community mural zone where everyone can get in on the fun. Participate in the event as a featured mural artist. Apply Online below. Parking is available free of charge. If you are an individual, family, emerging artist or professional artist and would like to get involved in the festival, all you need to do is show up at the festival, and you will be provided with complimentary pastel chalk and a designated space to create your own masterpiece.